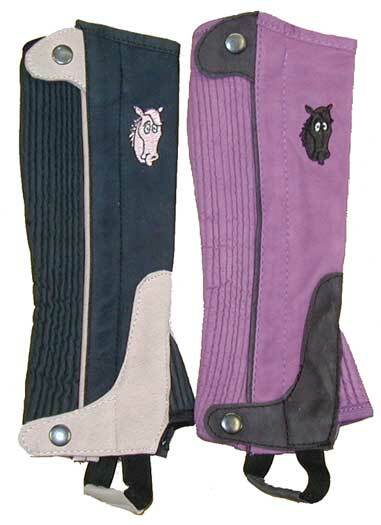 These half chaps for kids are fun and practical. Embroidered horse head detail on the side of the chap. Preshaped design for a custom fit chap. Full elastic coil spring panel conforms to the calf. Heavy duty full length zipper. Leather is reinforced under the strap.